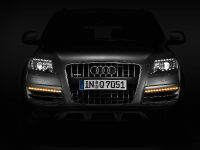 When it was first rolled out three years ago, the Audi Q7 performance SUV immediately achieved a leadership position – as a sporty, comfortable as well as high-performance recreational and business vehicle on a grand scale. 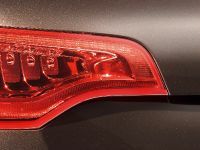 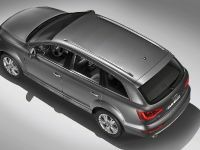 Now Audi is making it even better – more elegant and more efficient, with lower emissions: the Q7 3.0 TDI consumes only 9.1 liters per 100 kilometers (25.85 US mpg). 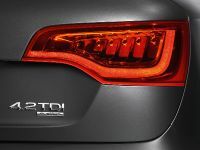 And now it's also available in a new version as a TDI clean diesel, with the world's cleanest diesel technology and even lower fuel consumption of only 8.9 liters/100 km (26.43 US mpg). 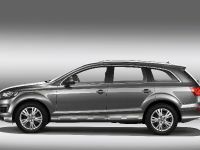 The Q7 is the large Audi for sporty individualists, for people who are seeking a vehicle that will take them anywhere they want to go for sports, recreation, and business. 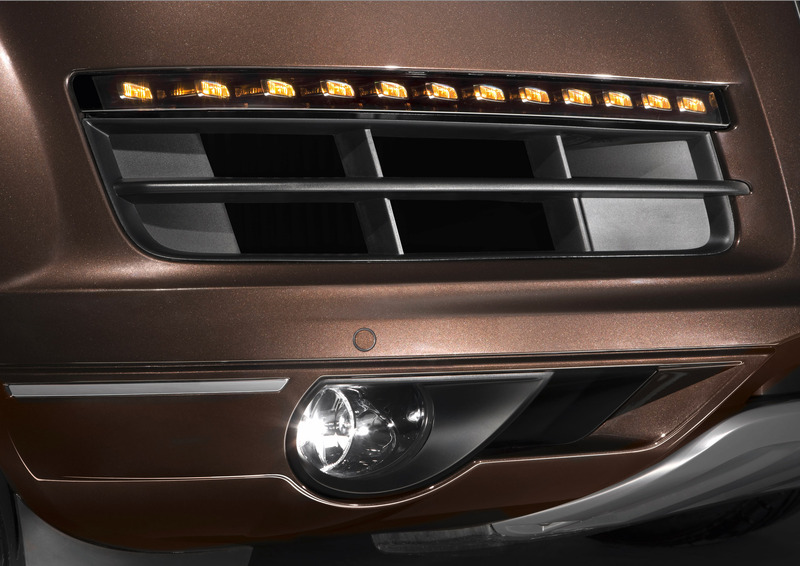 Its dynamic proportions and distinctive lines express this character, and subtle modifications endow its styling with even more elegance. 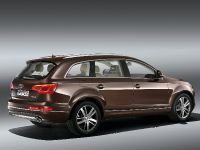 The side view too, with its coupe-like roofline, low window area and tautly curved body surfaces, reinforces the dynamic look of the Q7. 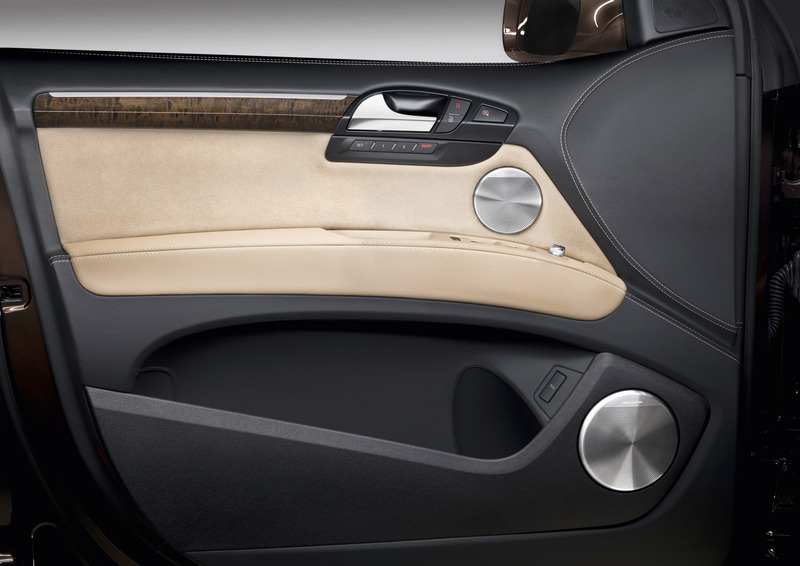 Door moldings have been modified to add interest. 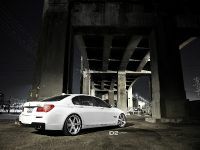 The lightweight alloy wheels are size 7.5 J x 18, the wheels size 235/60. 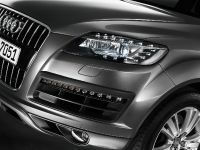 In the V6 vehicles they have seven spokes, in the V8 versions they have six. Thanks to its luxurious 300-centimeter (118.11-inch) wheelbase within an overall length of 5.09 meters (16.70 feet), the Audi Q7 has interior room to spare, and the interior flexibility is unrivalled. 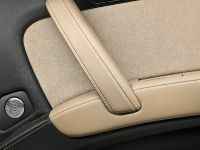 The seatbacks in the second row are divided into three fold-down sections to provide a level cargo floor. 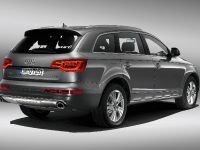 This increases the luggage space from a volume of 775 liters (27.37 cubic feet) to 2,035 liters (71.87 cubic feet). 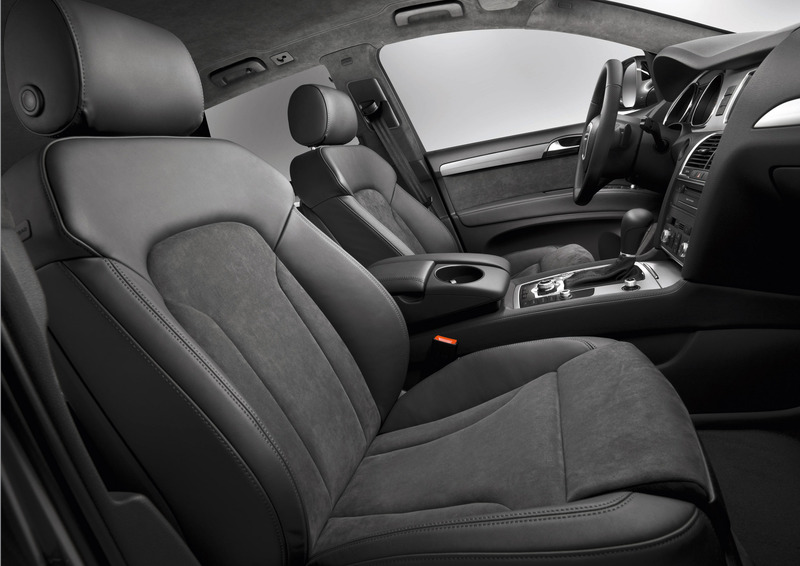 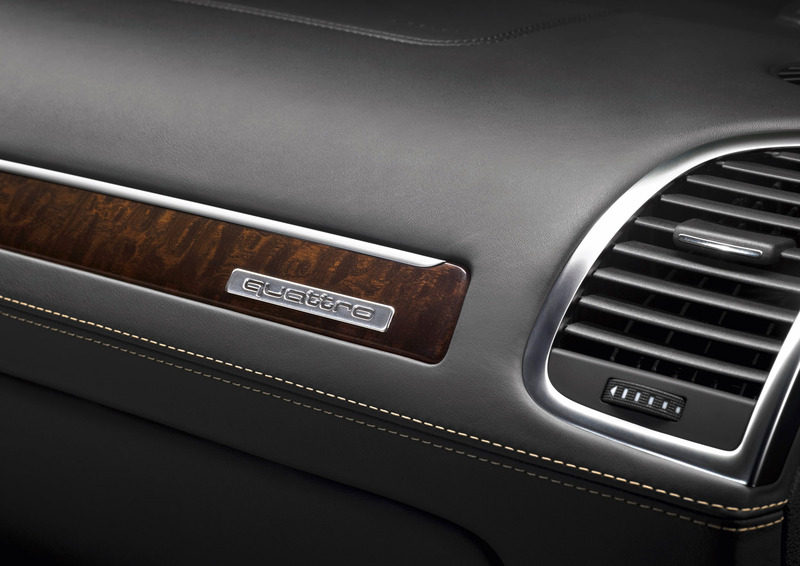 With the leather upholstery option, the middle seat now has an even more comfortable contour. 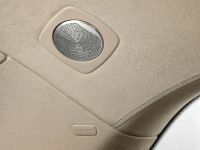 The selection of interior colors and materials is also new. 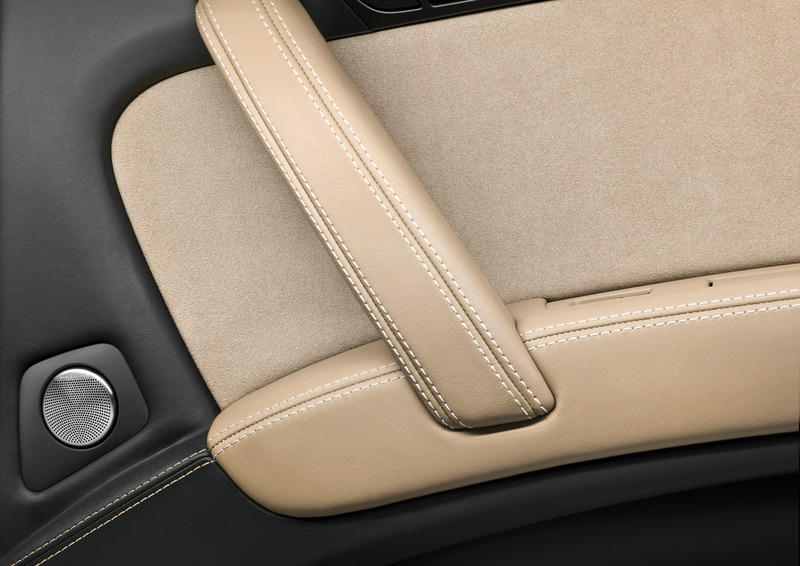 Upholstery fabrics are available in black and light gray; leather upholstery additionally also in Para Brown, Savannah Beige and Cardamon Beige. 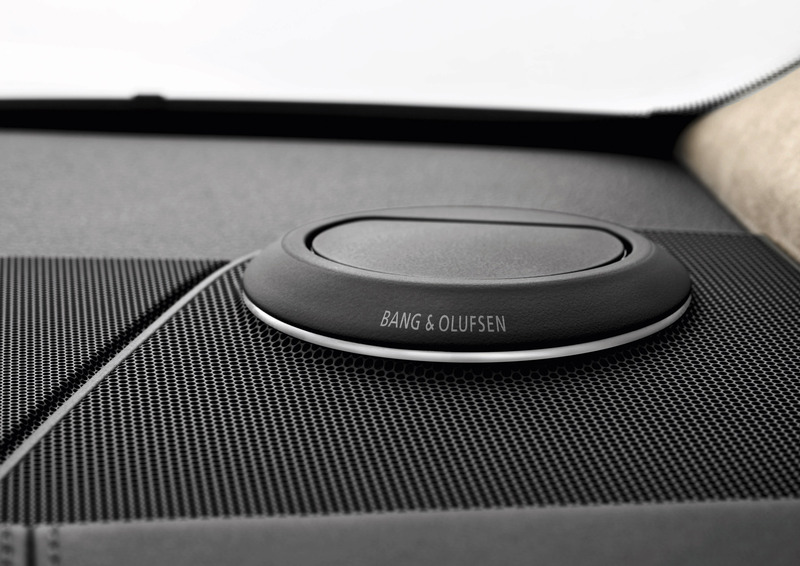 Standard inlays are finished in matt black. 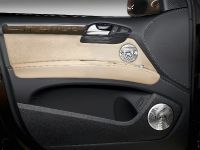 In optional design packages, aluminum and wood finishes are used. 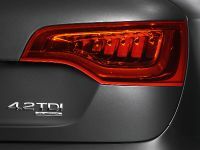 The 3.0 TDI puts out 176 kW (240 bhp) and delivers as much as 550 Nm between 2,000 and 2,250 rpm, yet on the EU cycle it consumes only 9.1 liters / 100 km (25.85 US mpg). 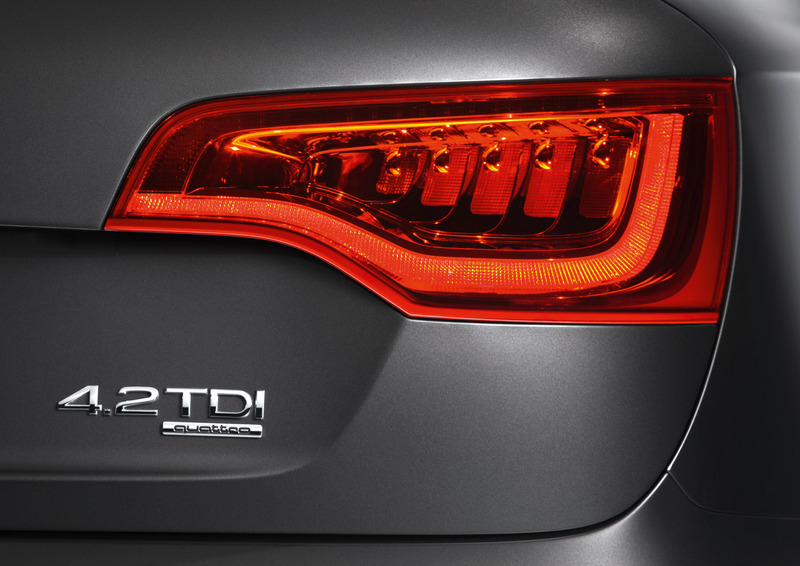 The optionally available 3.0 TDI clean diesel even consumes 0.2 liters (0.05 US gallons) less. 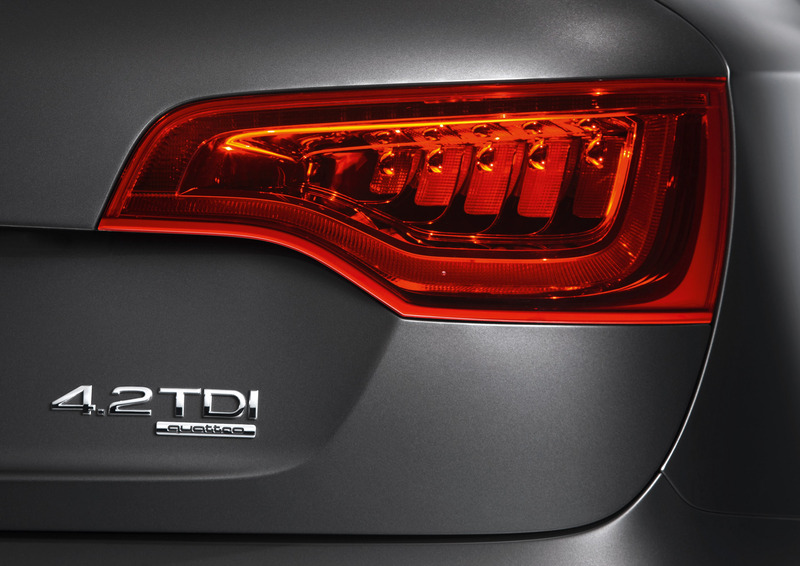 Despite highly complex exhaust gas recirculation and the resulting world's cleanest diesel technology, it consumes just 8.9 liters/100 km (26.43 US mpg). 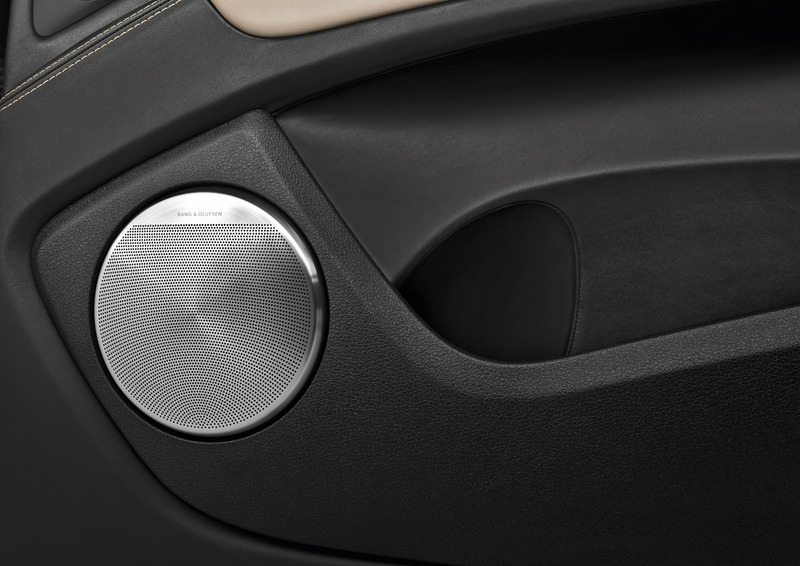 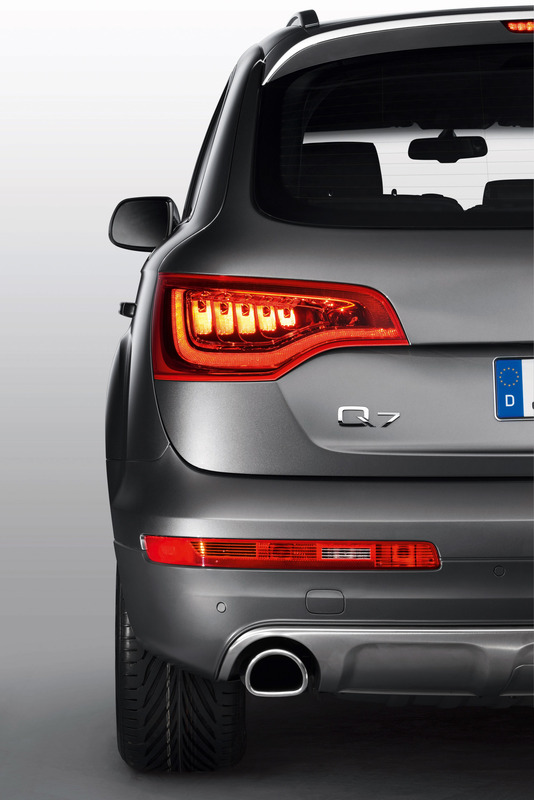 It meets the strict LEV II Bin 5 US standard and already complies with the Euro 6 limits announced for 2014. 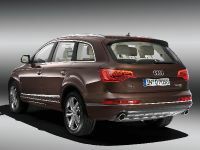 In the Q7 4.2 TDI too, fuel consumption has been drastically reduced – from 11.1 (21.19 US mpg) to 9.9 liters per 100 km (23.76 US mpg). 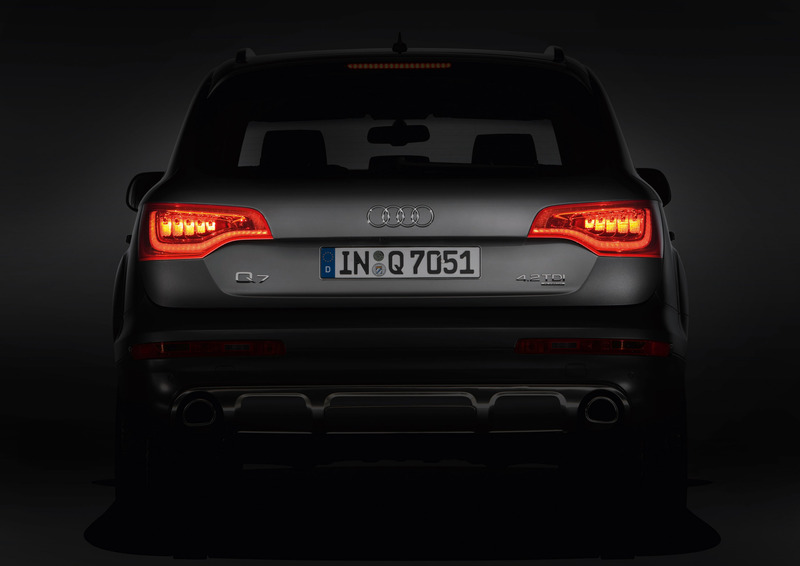 Yet the V8 diesel is more powerful: with an output of 250 kW (340 bhp) and a torque of 760 Nm, it develops enormous propulsive power. 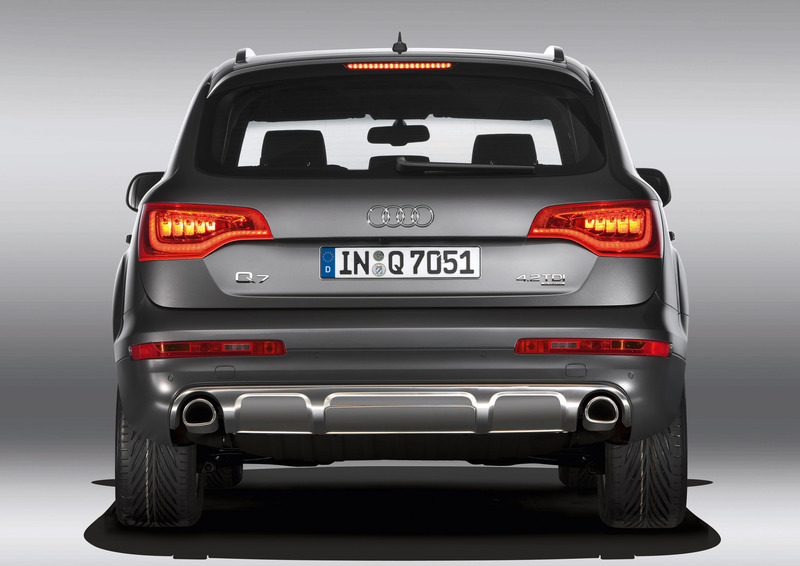 This maximum torque is available in the range from 1,750 to 3,000 rpm. At Audi, efficiency and dynamics go hand in hand. 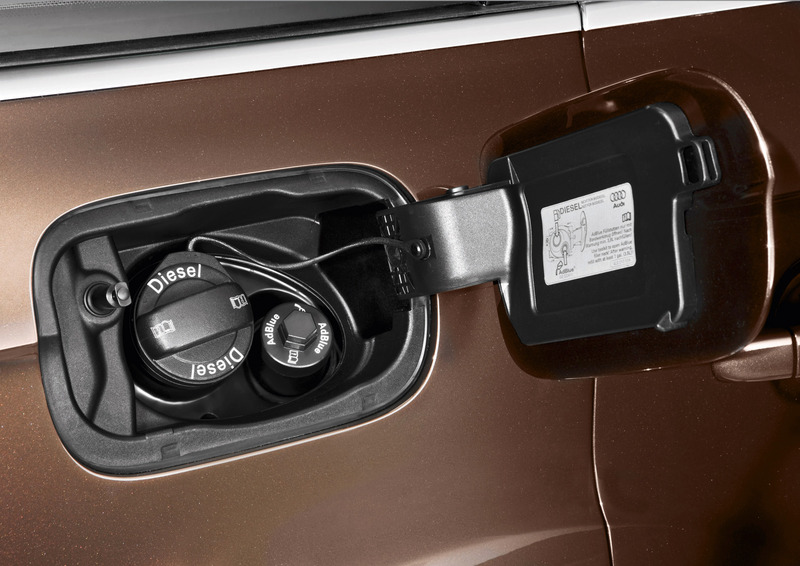 That's also the case in gasoline engines. 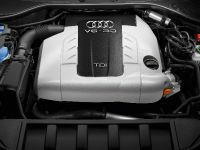 The 3.6 FSI, a V6 with a small cylinder angle, has a power output of 206 kW (280 bhp) and delivers 360 Nm between 2,500 and 5,000 rpm. 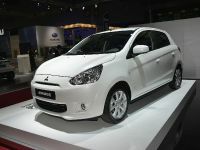 Its average fuel consumption is 12.1 liters per 100 km (19.44 US mpg). 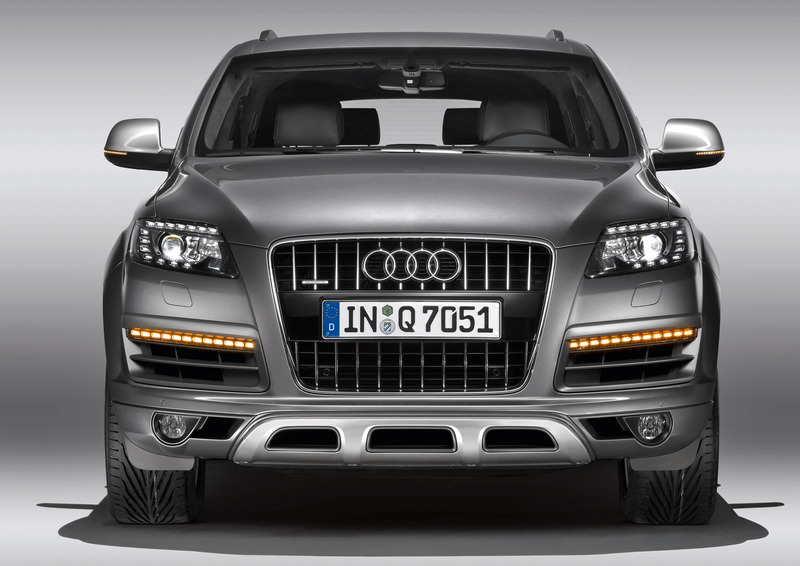 The 4.2 FSI, a V8, delivers 257 kW (350 bhp) and 440 Nm at 3,500 rpm. 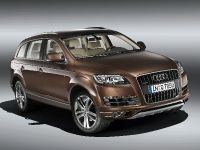 Its fuel consumption is 12.7 liters/100 km (18.52 US mpg). 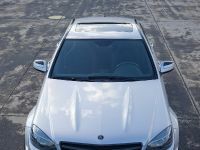 A novel technology from the Modular Efficiency Platform further improves fuel efficiency in all the engines: the recovery system, which during braking and coasting phases converts mechanical energy into electric energy and buffer-stores it in the battery. 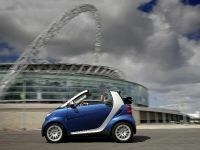 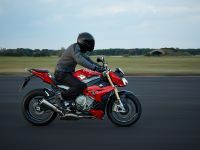 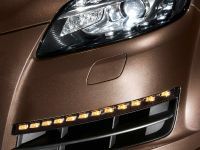 It reduces CO2 emissions by up to 5 g/km (8.05 g/mile). 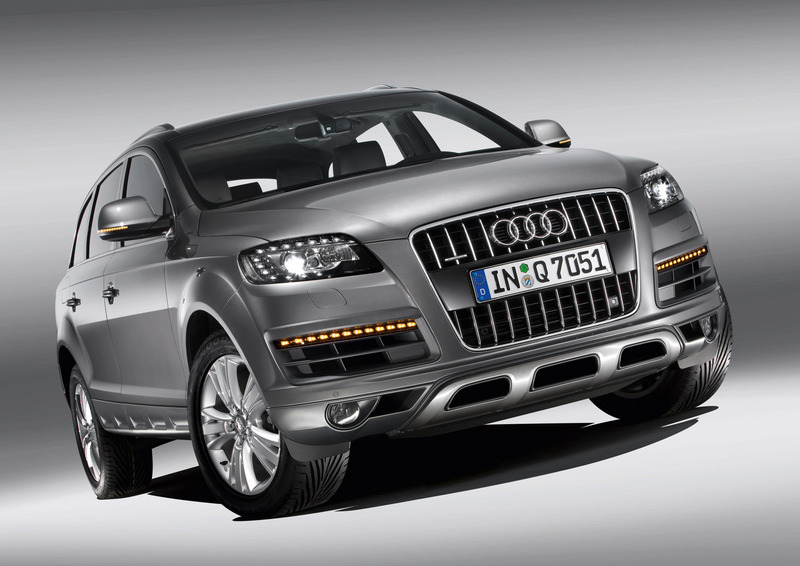 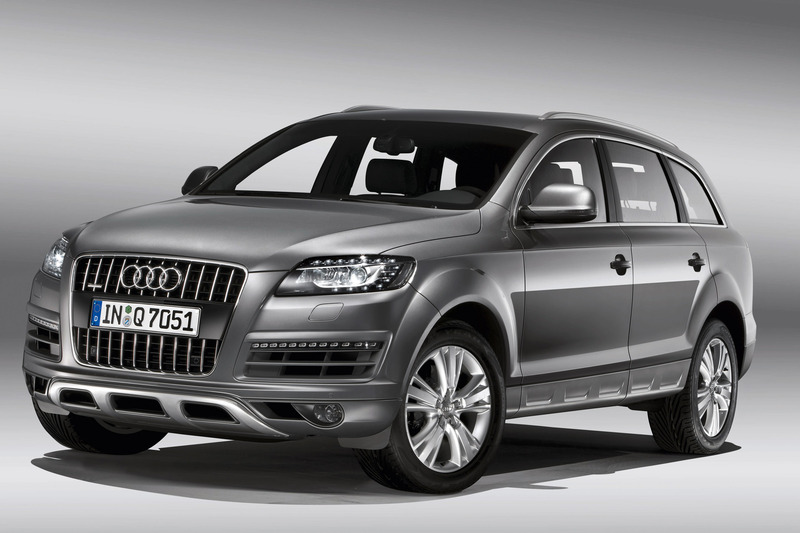 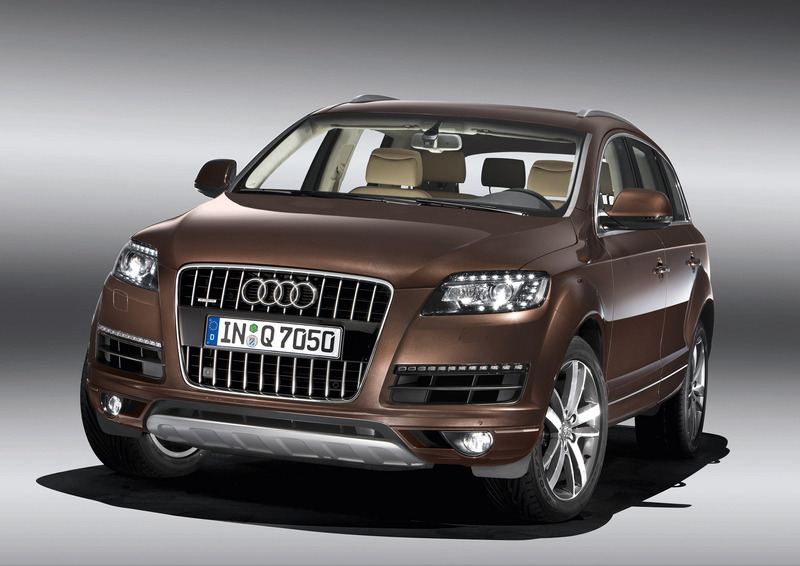 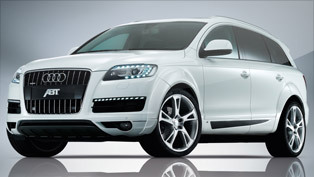 In its suspension technology too the Audi Q7 is exceptional. 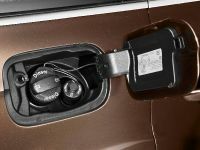 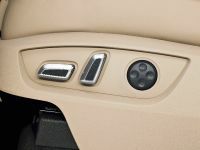 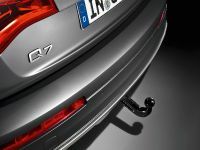 As a customer option, Audi equips the Q7 with adaptive air suspension – a pneumatic suspension system that operates in conjunction with an electronic shock absorber control, varies the ground clearance at five different levels, and lets the driver select three driving modes: comfort, automatic and dynamic. 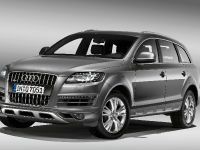 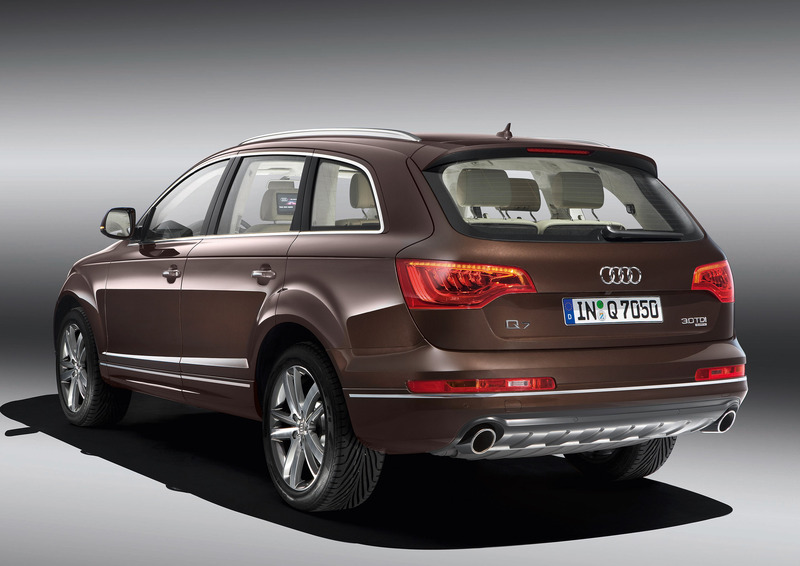 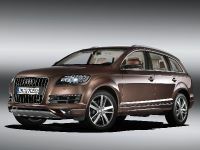 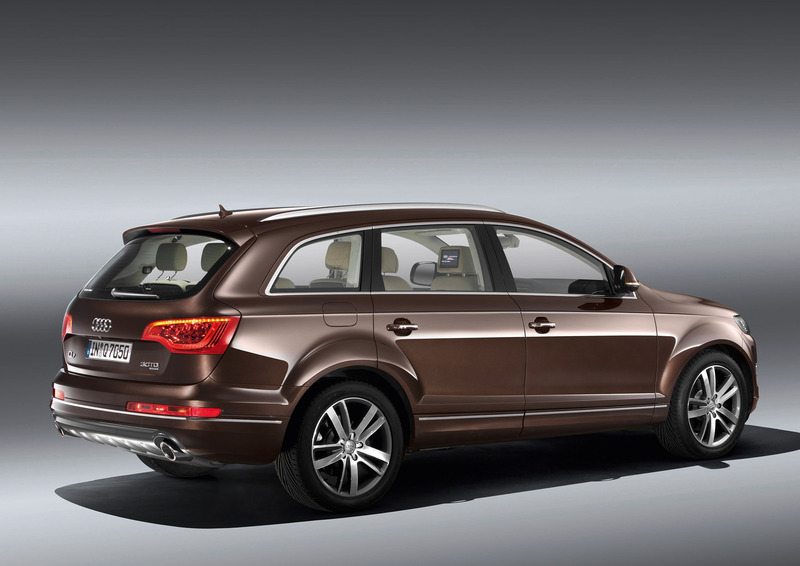 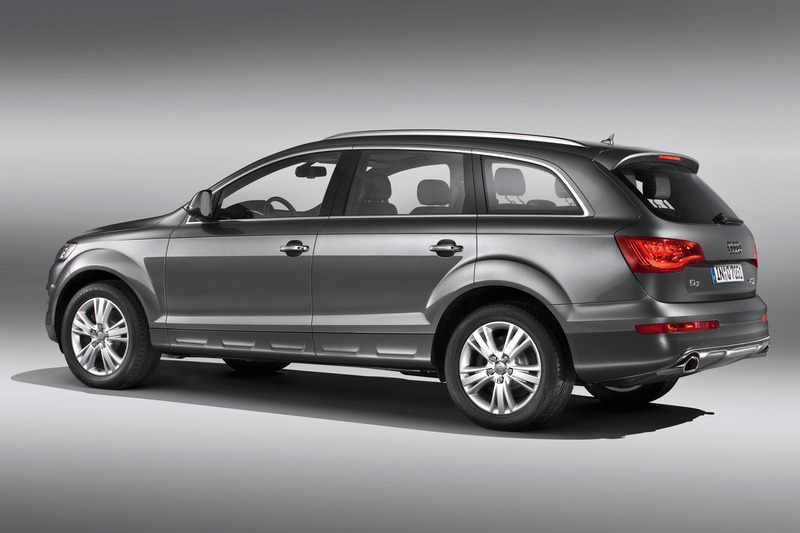 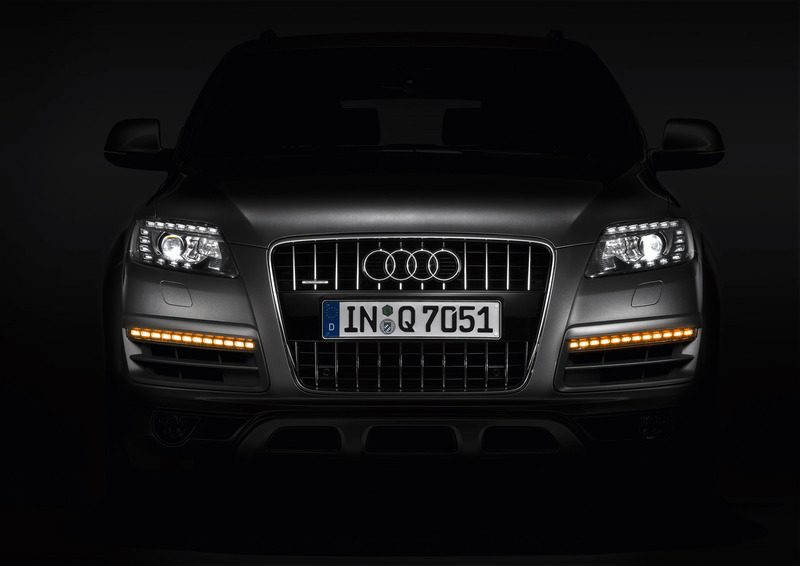 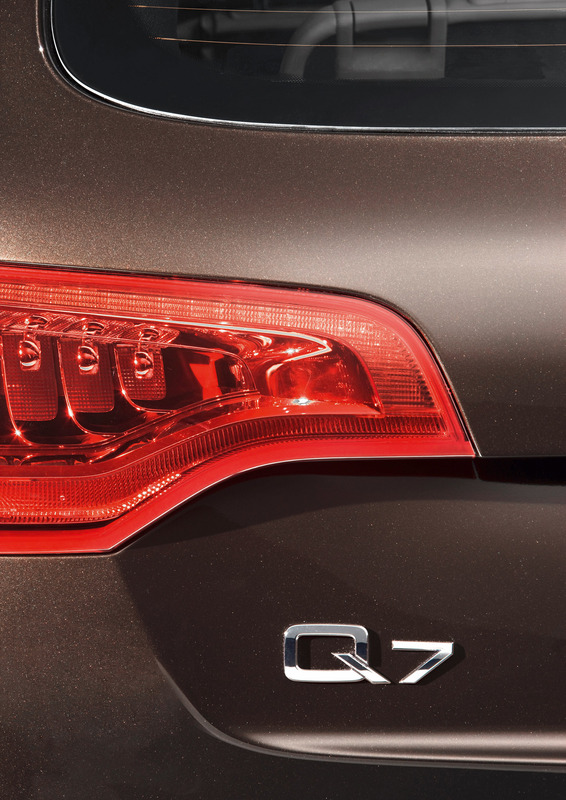 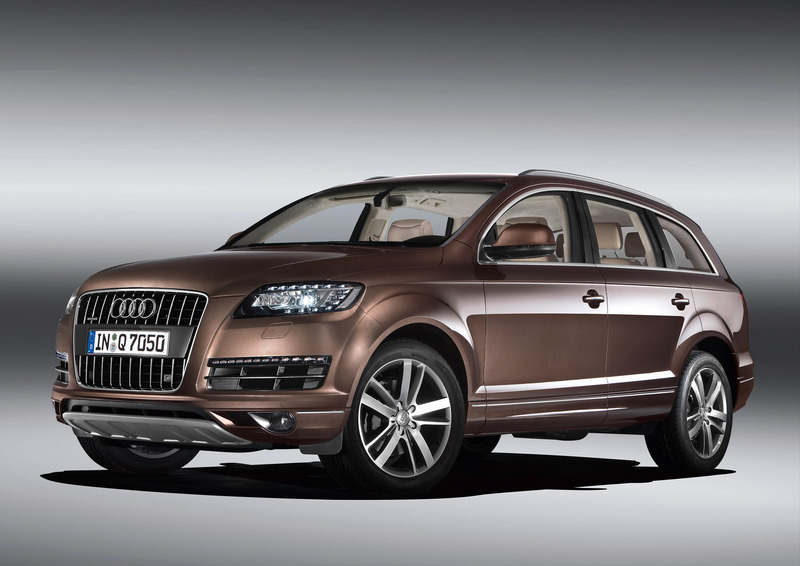 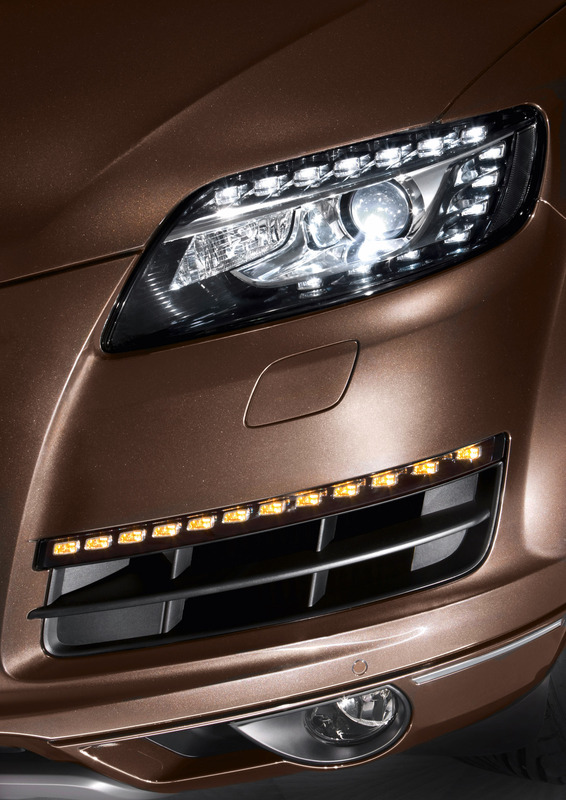 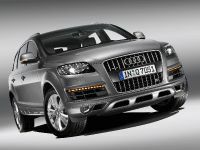 In its road handling the Q7 excels in its sporty, highly responsive precision. 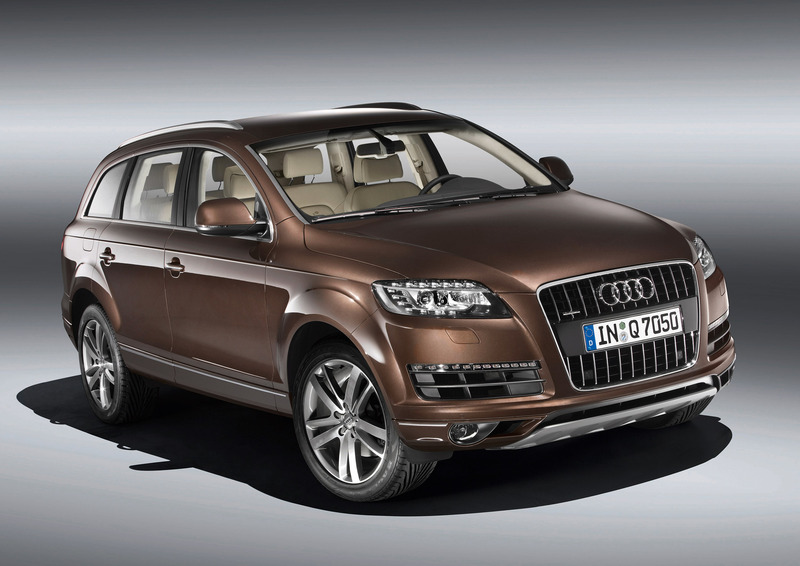 Off-road, it provides a superior ride on widely varying terrains. 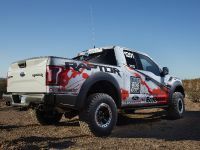 The choice of wheels ranges from 18 inches to the 10 J x 21 top version with 295/35 tires. 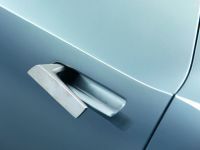 Ten different designs are available, including two very elegant, high-luster, bicolor versions. 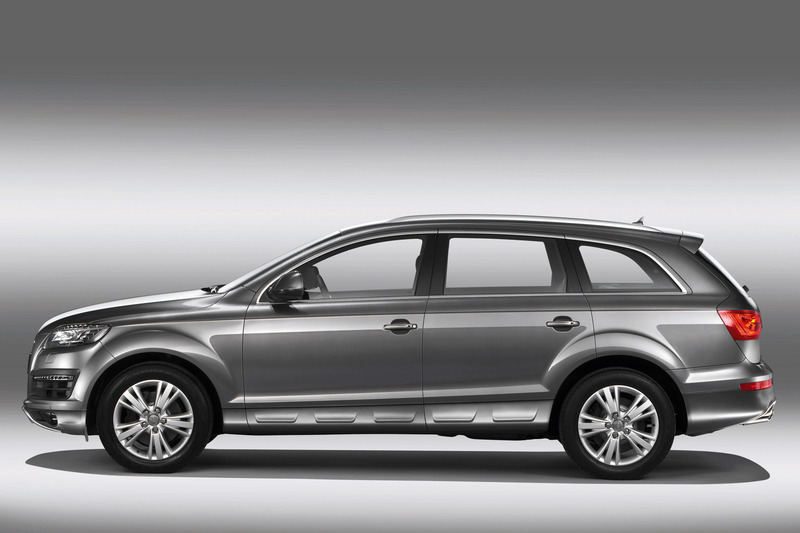 Large brake discs provide superb deceleration – with 18-inch diameters front and rear. 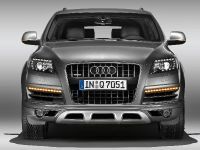 Optionally available in the eight-cylinder models are carbon-fiber ceramic disk brakes which further enhance the dynamic character of this performance SUV: they are lighter than their steel equivalents, extremely abrasion-resistant and virtually fading-free. 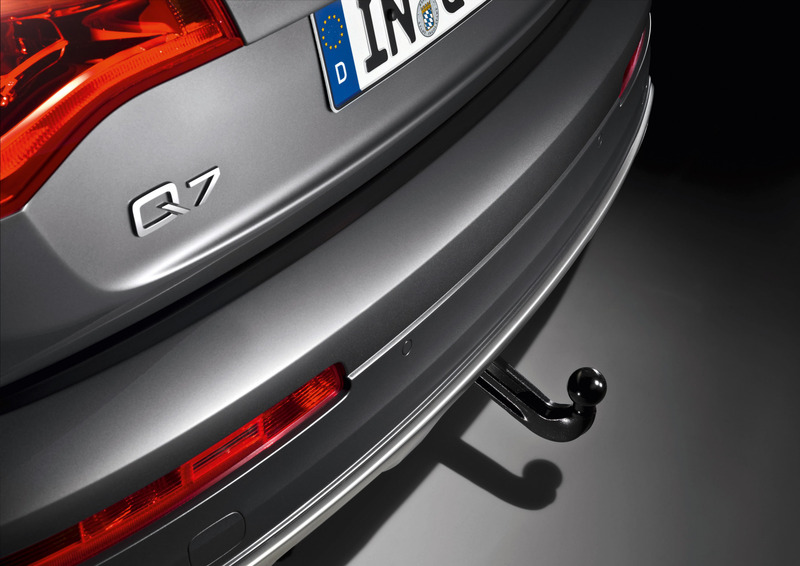 They achieve high driving performance and ensure short braking distances. The diameters of the ceramic discs are 420 millimeters (16.54 inches) in front and 370 millimeters (14.57 inches) at the rear. 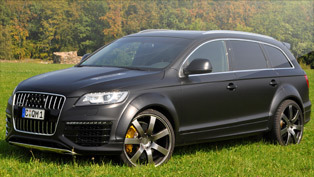 The calipers are black and adorned with the wording "Audi ceramic". 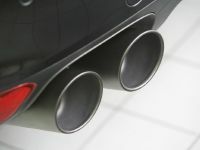 A total of 24 pistons are used on the front and rear axles. 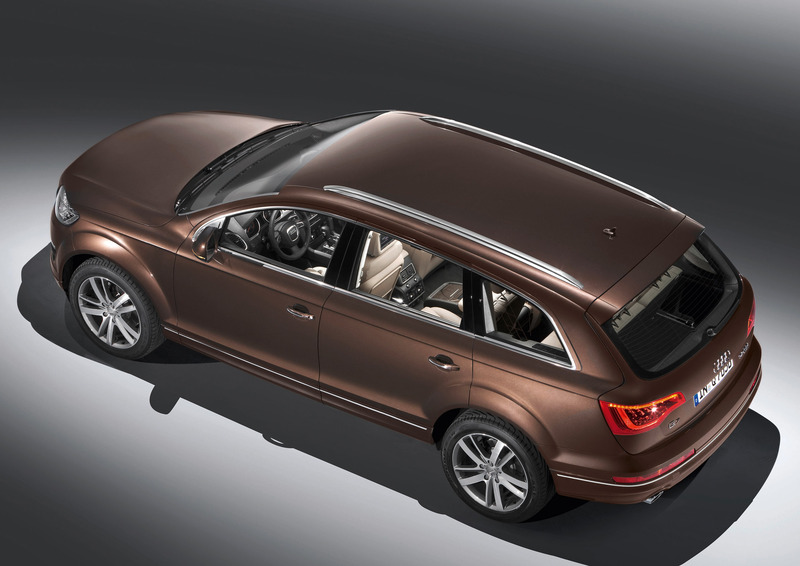 The Q7 also offers many intelligent solutions for the practical needs of everyday use – such as an electric luggage space cover, a reversible floor mat, a set of luggage rails, a removable ski bag, and a moveable storage box. 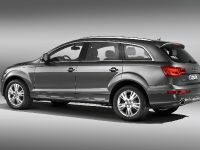 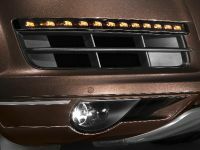 The options program includes separation grids, an interior bicycle stand, various roof-mounted carriers, a distinctive off-road styling package, and a pivoting trailer hitch: this powerful SUV can tow up to 3.5 metric tons. 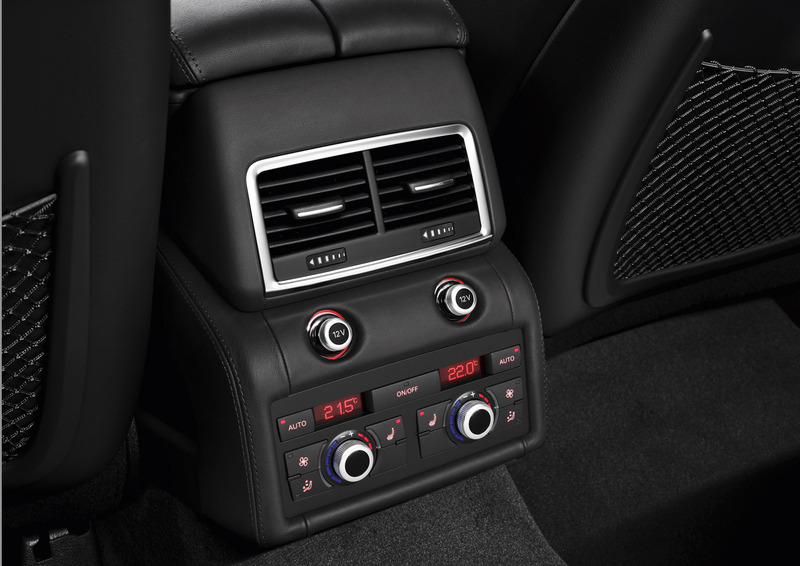 In the infotainment field, Audi provides a carefully differentiated selection of modules. 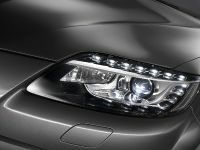 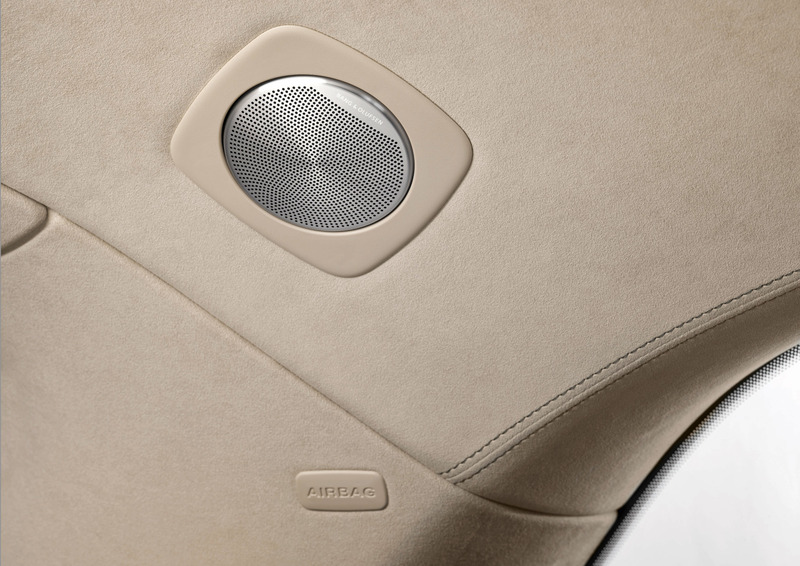 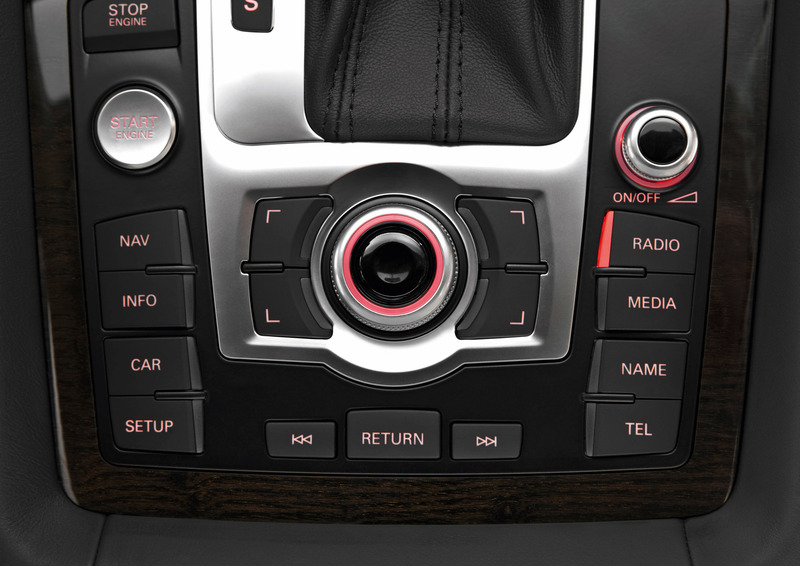 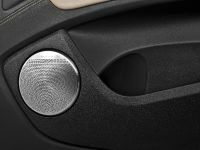 The three optional systems are part of the new generation of Audi devices. 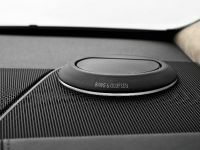 The top-of-the-line version integrates a hard drive for navigation, music and telephone data, a high-resolution color monitor and 3D map graphics, a DVD player as well as voice control. 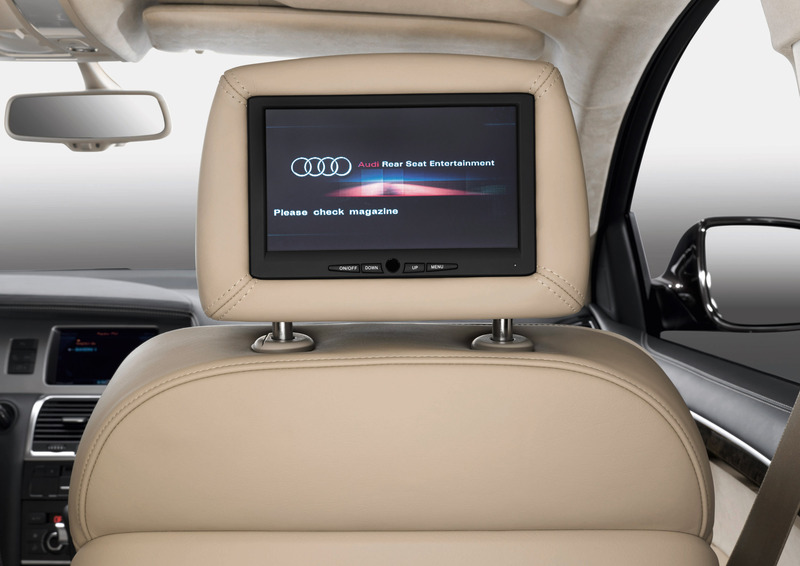 It can be expanded into a luxury media center with features such as a Bluetooth telephone, a TV tuner, a digital radio tuner, plus rear seat entertainment. 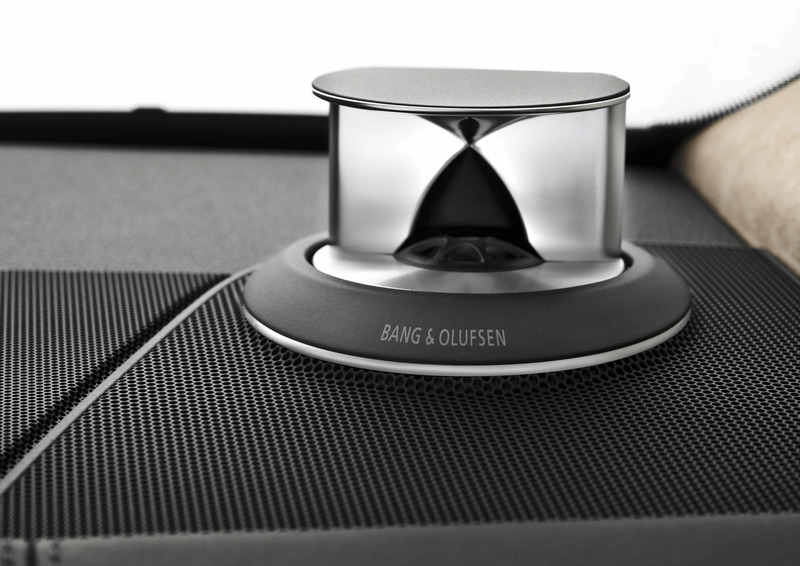 A very special highlight is the advanced sound system from Bang & Olufsen with its ten channels, 505 watts of power and 14 loudspeakers. 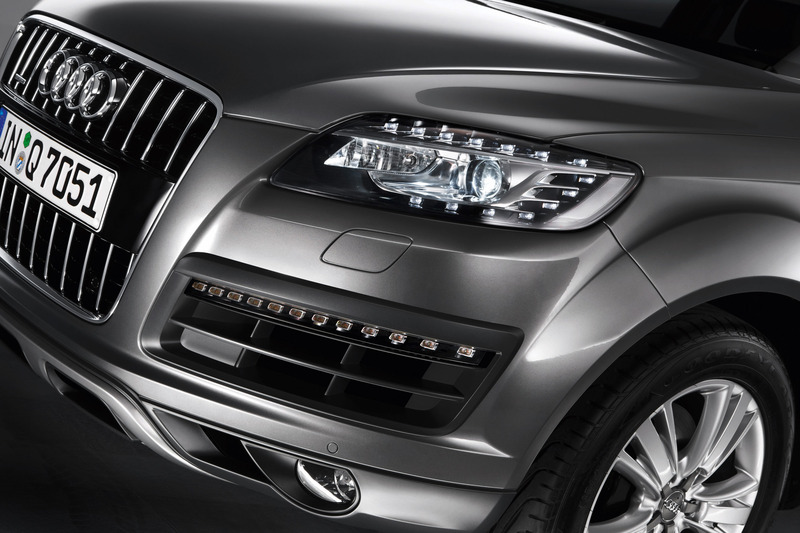 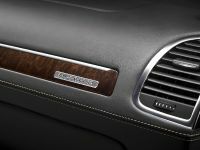 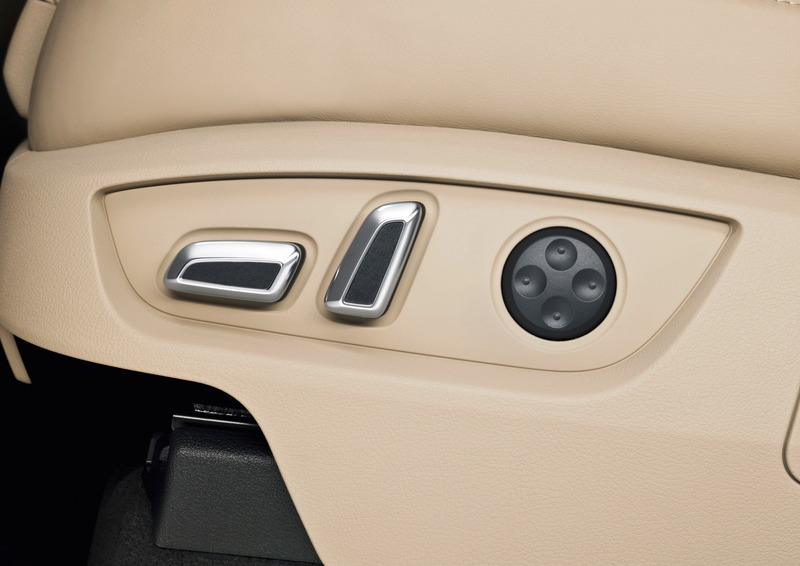 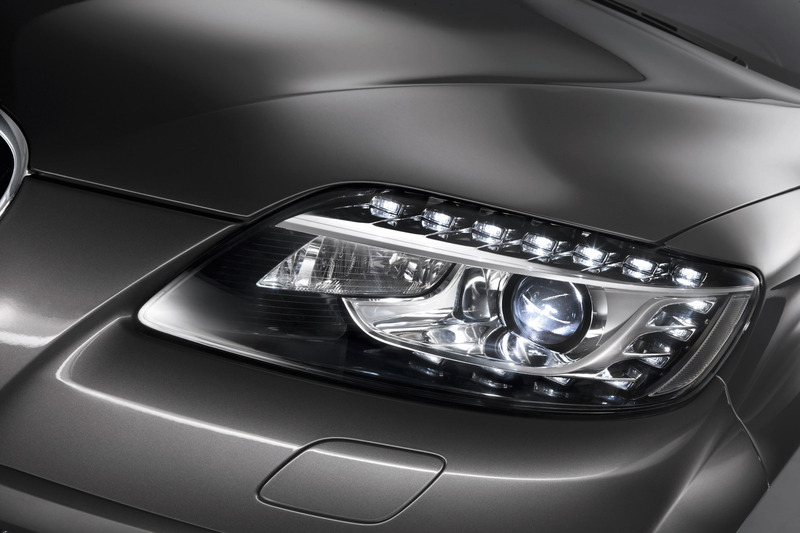 The range of optional equipment is rounded off by technologies from the luxury class. 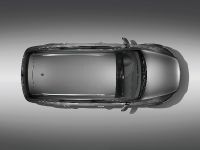 The radar-supported adaptive cruise control regulates the speed and the distance to the preceding vehicle in a range from 30 to 200 km/h (18.64 to 124.27 mph) by acceleration and deceleration. 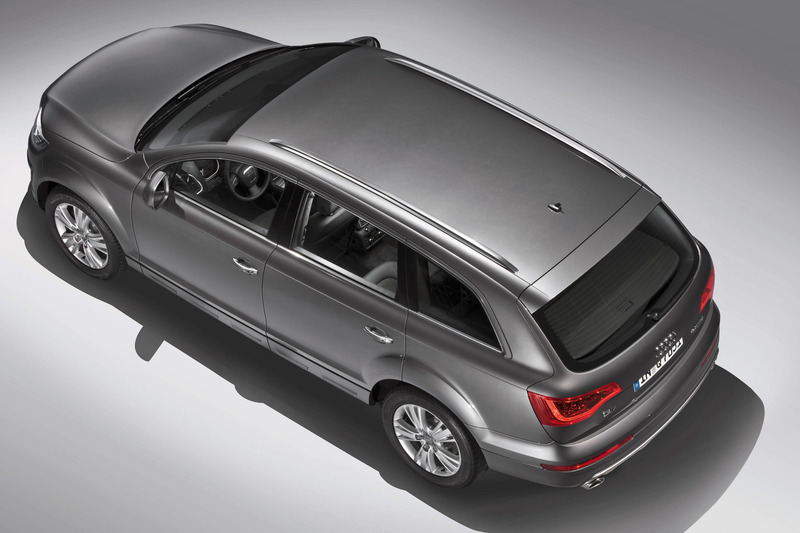 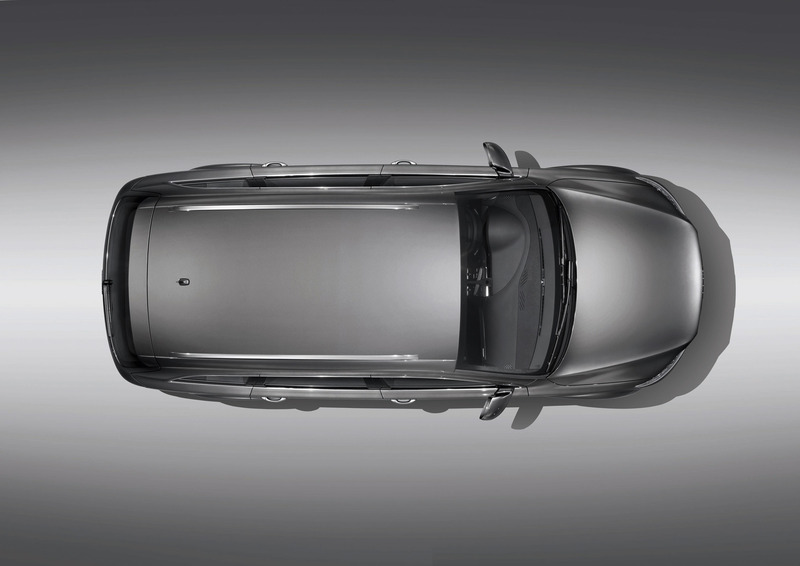 If a threat is detected, the integrated Audi braking guard warns the driver at two levels. 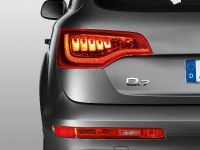 From a speed of 60 km/h (37.28 mph), Audi lane assist helps the driver stay in lane by means of a camera that recognizes the lane lines. 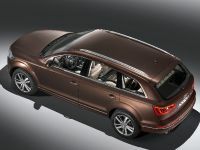 Audi side assist ensures safe lane changes above 30 km/h (18.64 mph) with the aid of a radar system that monitors the traffic pattern within 70 meters (229.66 feet) behind the vehicle. 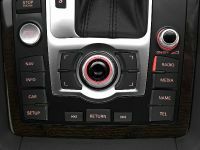 Finally, the Audi parking system advanced assists parking by means of a rearview camera and reference lines on the onboard monitor. 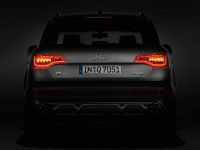 The V12 diesel, with a 6-liter (6,000 cc) engine closely related to that of the R10 TDI racing car – a triple Le Mans winner – delivers 368 kW (500 bhp) and develops a torque of 1,000 Nm between 1,750 and 3,250 rpm. 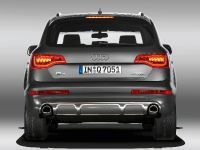 Acceleration from zero to 100 km/h (62.14 mph) in 5.5 seconds and a capped top speed of 250 km/h (155.34 mph) equal the driving performance of a powerful sports car. 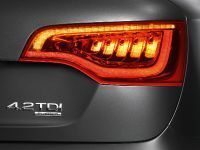 Despite these impressive performance data, the V12 diesel gets by on an average of 11.3 liters of fuel per 100 km (20.82 US mpg). 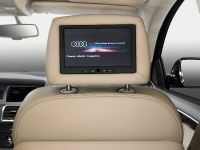 Its luxurious standard equipment includes 20-inch wheels, a Bose sound system, and many additional features.